For the first time ever, Michael Jordan watched a live US Open match, taking in the action from Federer's personal box. 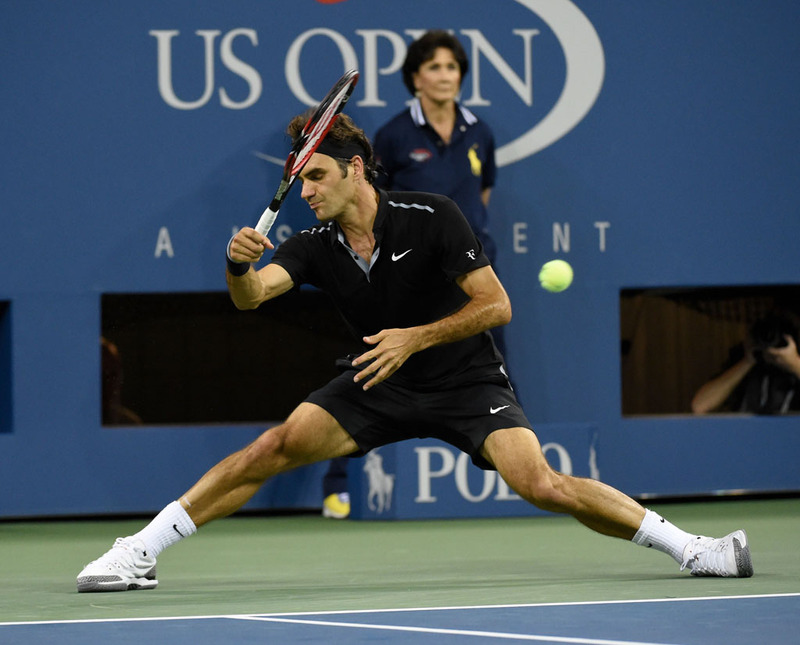 Last night, Roger Federer started his 2014 US Open with a three-set win over Marinko Matosevic on center court at Arthur Ashe Stadium. While Federer dazzled, what he wore and who was in the crowd watching him stole headlines. 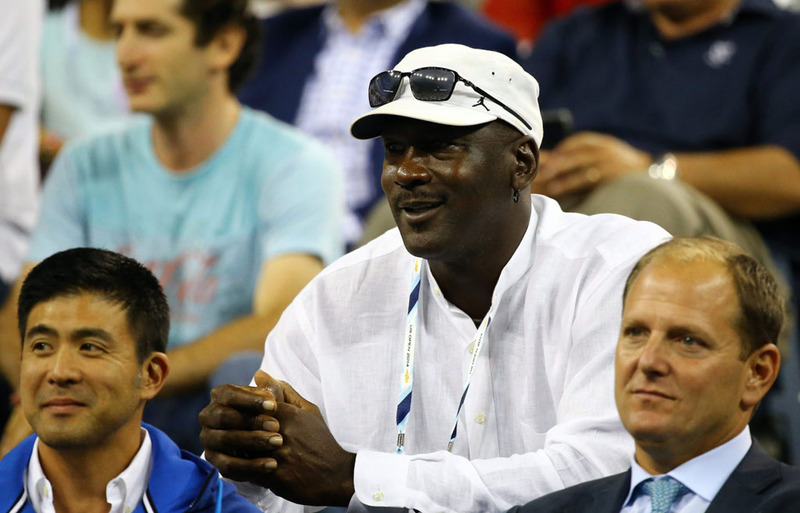 For the first time ever, Michael Jordan watched a live US Open match, taking in the action from Federer's personal box. The new friends recently met and came together for the NikeCourt Zoom Vapor AJ3, which Federer debuted on the court last night. Inspired by the Air Jordan 3, the shoe will be released in limited quantities today. "I’m just so happy that he came into the world of tennis a little bit,” said Federer about Jordan after the match. 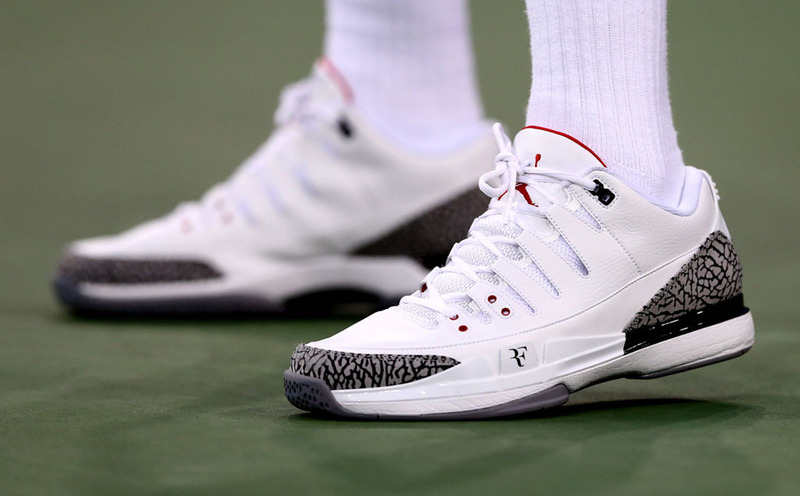 Read on for several shots from Federer's Zoom Vapor AJ3 debut and good luck grabbing your pair today.